Free black Princeton resident Cezar Trent will twice identified Peter Scudder as a “late servant” of John I. Craig, the owner of Prospect mansion at the head of College Lane. The document also mentioned Jude, a young female “servant girl” to Ralph Sansbury. Although the nature of Trent’s relationship to Jude is unclear, her label as a “servant girl” suggested that perhaps she was enslaved. If true, the description of Scudder as a “late servant” might indicate that he was also once a slave. In his Autobiography and Memorials, Samuel Irenaeus Prime also indicated that Scudder was born a slave. According to Prime, when his father Nathaniel Scudder Prime began studying at the College of New Jersey in 1801, “one of the servants waiting upon the college students was a colored boy named Peter Scudder, who had been a slave in the Scudder family of Princeton.” Nathaniel Scudder Prime befriended Peter Scudder because, according to Prime, Peter Scudder had formerly belonged to Nathaniel’s family. When Samuel Prime enrolled at the Princeton Theological Seminary thirty years after his father studied at the college, Peter Scudder was still serving students. Peter Scudder was noted in Princeton, but there are not many of the students now living who knew him or remember him. He was commonly called “Peter Polite.” He was a boot-black in college, and sold apples and ice cream to the students of the college and seminary. He accumulated some property and owned and kept an ice cream shop and confectionery in Nassau Street, where Railroad Avenue has been opened. He was a faithful, honest, obliging man, and most distinguished for his genuine politeness and civility. These depictions of Scudder reduced him to a deferential servant, unable to engage with his white customers on an equal level. Such behavior earned Scudder the nickname "Peter Polite," an indication that white Princetonians did not consider him a threat to the social order. Yet Scudder was hardly simple-minded—as his business dealings and connections to Princeton's elite families demonstrated. 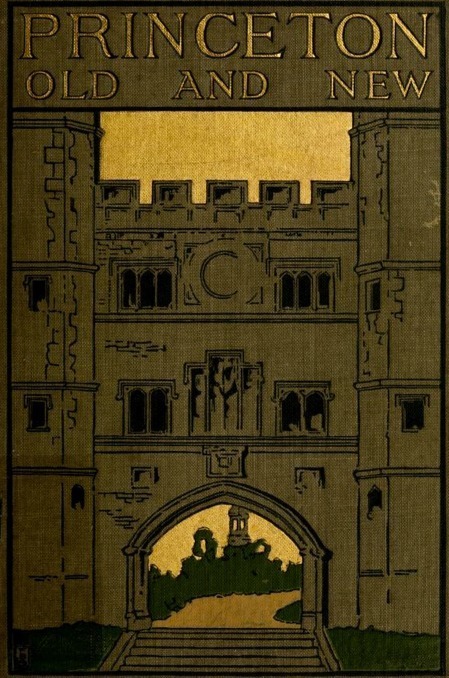 James Waddel Alexander's book Princeton – Old and New (1898). On December 1, 1819, Peter Scudder paid Doctor Samuel Olden $900 for a house at the center of Princeton township. According to the official land record, the property was located at the intersection of the road leading to the Prospect mansion and the town’s main street (present-day Nassau Street). The record also revealed that Scudder’s land abutted a parcel belonging to Richard Stockton II. The Stocktons were a wealthy and highly respected family in New Jersey. 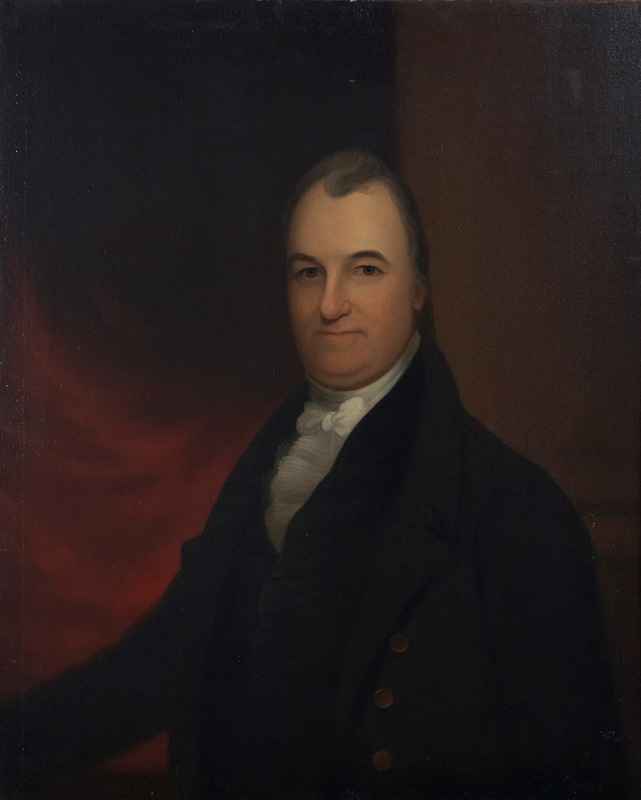 Richard Stockton, the family patriarch, was a member of the first graduating class of the College of New Jersey and later signed the Declaration of Independence. His son, Richard Stockton II, was an eminent lawyer and U.S. Senator who served as a trustee of the College of New Jersey from 1791 until his death in 1828. The Stocktons also owned a large number of slaves, many of whom lived and worked on their Morven estate on the edge of Princeton. Portrait of Richard Stockton (class of 1779), Princeton trustee and slaveholder. Evidently, the Stockton family had a relationship of some sort with Peter Scudder. In late 1823 Robert F. Stockton, the son of Richard Stockton II, bought from and sold land to Scudder. On October 13, 1823, Stockton paid Scudder $500 for a section of the property Scudder had purchased four years earlier from Samuel Olden. The contract recorded the grantors as “Peter Scudder + Wife [Margaret]." Less than three weeks later, on November 1, Scudder paid Stockton $1,200 for a land parcel extending from the west side of Princeton’s main street into West Windsor Township. This contract, like the one for the October 13 land sale, listed the seller (Robert Stockton, in this case) alongside his wife. In addition to land dealings, the Stocktons and Peter Scudder were linked in Somerset County manumission records. On December 13, 1823, Richard Stockton II freed a 25-year-old slave named Thomas. On the same day, Peter Scudder freed a 30-year-old slave named Margaret, likely the same Margaret named on his property agreement with Robert Stockton from two months earlier. If so, Margaret and Peter Scudder married one another while Margaret was still a slave. Scudder purchased, married, and emancipated a slave conjunction with his land dealings with the powerful slaveholding Stockton family—demonstrating Scudder’s complicated position as a successful free black man in a white-dominated society. Robert Stockton, like his father and grandfather, was an important figure both in Princeton and the United States government. In 1821 the American Colonization Society (ACS) elected him to lead the society's first mission to resettle former slaves in Africa. Stockton’s negotiations with African tribal leaders resulted in the purchase of Liberia, realizing the ACS’s goal of creating an African colony for free blacks. Robert Stockton’s participation in the ACS signaled that he believed coexistence between blacks and whites was impossible. But at the same time, Stockton engaged in business transactions with Peter Scudder, a free black man living and prospering among white Princeton residents. Scudder's transactions with the affluent Stockton family prove that Scudder shrewdly managed his income and successfully negotiated deals using this money. Operating a shop and buying and selling property near the university campus, Scudder was a player in the early 19th century Princeton business and real estate game. While the exact details of Stockton and Scudder’s business dealings suggest that Stockton did not consider Scudder’s success as a threat—perhaps Scudder’s “Peter Polite” persona kept white citizens from seeing him as a challenge to their social and economic preeminence. One of our oldest colored residents, Peter Scudder, (‘Peter Polite,’) who was known to all who have resided in Princeton for the last 30 or 40 years for his remarkable suavity of manners, died of consumption on Monday last. Scudder’s obituary, one of few local obituaries included in the Whig or Gazette, testified to his status as a widely recognized and well-liked free black man in the central New Jersey area. Brett Diehl received his AB in History from Princeton in 2015. Subsequently, he has completed a two-year MPhil in Economic and Social History at the University of Oxford as a Sachs Scholar. He is currently preparing to enter law school. John Frelinghuysen Hageman, History of Princeton and Its Institutions, Vol. 1 (Philadelphia: J.P. Lippincott & Company, 1879), 211. Samuel Irenaeus Prime, Autobiography and Memorials (Cambridge, MA: Harvard University Press, 1888), 9. Hageman, History of Princeton, vol. 2, 210. James Waddel Alexander, Princeton – Old and New: Recollections of Undergraduate Life, (New York: Charles Scribner’s Sons, 1898), 85. “Doc. Samuel Older to Peter Scudder, a free colored man, December 1, 1819,” Somerset County Deeds, vol. K [1821-1823], GSU Reel 903797, New Jersey State Archives. Ibid. ; Thomas Allen Glenn, Some Colonial Mansions, And Those Who Lived in Them, vol. 1 (Philadelphia: Henry T. Coates & Co., 1897), 90. Harold D. Langley, “Robert F. Stockton: Naval Officer and Reformer,” Quarterdeck and Bridge: Two Centuries of American Naval Leaders, ed. James C. Bradford (Annapolis, MD: Naval Institute Press, 1997), 77. Glenn, Some Colonial Mansions, 89. Alfred Hoyt Bill, A House Called Morven: Its Role in American History, 1701-1954 (Princeton, NJ: Princeton University Press, 1954), 9. “Peter Scudder+Wife to Robert F. Stockton, October 13, 1823,” Somerset County Deeds, vol. L [1823-1826], GSU Reel 903798, New Jersey State Archives. “Robert F. Stockton+Wife to Peter Scudder, November 1, 1823,” Middlesex County (Clerk) Deeds, vol. 16 [1823-18124], GSU Reel 852345, New Jersey State Archives. This property, as described by Hageman, is the current site of University Place on the west border of the Princeton University campus. The wife of the seller was listed in order to prevent her using dower laws to claim her “widow’s third” of the property in the event of her husband’s death. “Manumission of Slave By Peter Scudder, December 13, 1823,” Somerset County Library Manumission & Register of Blacks 1823 to 1862, Box #1, 13, New Jersey State Archives; “Manumission of Slave By Robert Stockton, December 13, 1823,” Somerset County Library Manumission & Register of Blacks 1823 to 1862, Box #1, 1, New Jersey State Archives. R. John Brockmann, Commodore Robert Stockton, 1795-1866, Protean Man for a Protean Nation (Amherst, MA, and New York: Cambria, 2009), 39, 47-52, 58. “One of our oldest…,” Trenton State Gazette, 8 March 1848, vol. II, no. 358, 2. The State Gazette article indicates that the Princeton Whig published an extended obituary of Scudder. However, no copies of the Whig from the months immediately following Scudder’s death have survived to the present day.